So… I’m a little late in posting this, but better late than never! As someone in the tourism field, it is our job to promote attractions. 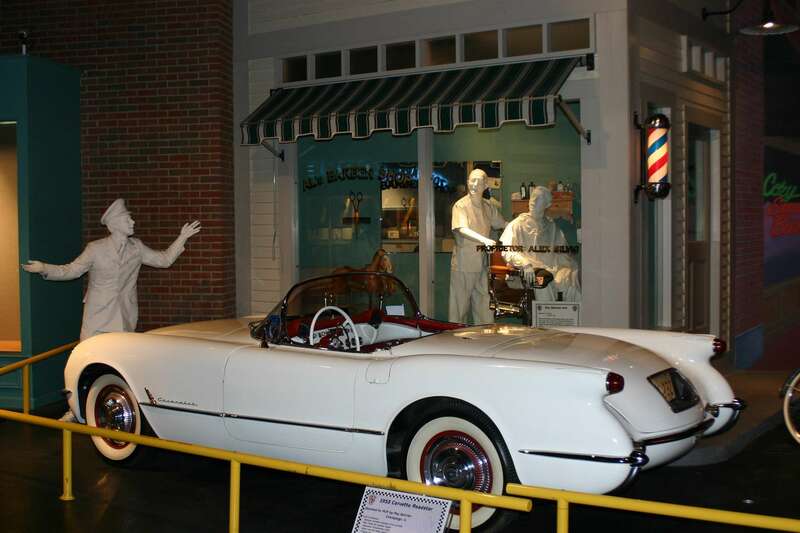 That being said, our families do not have to promote them so I thought I’d share a story of our most recent family visit to the National Corvette Museum. My husband has ALWAYS been a Ford guy. He’s bought and rebuilt Mustangs basically since he was a kid… so when he started looking at Z06s on eBay, I thought - man, he’s getting old! The selfish side of me thought, it will be great to have a ‘Vette on hand for my next promotional photos. Of course, after we drove to Georgia to get the car, I had to officially join the National Corvette Museum. Our family lifetime membership gets us in to the museum for free, so on Sunday, April 13, 2008 after lunch at Subway, we decided to go visit. Sophia (our two-year-old) was with us and my husband Anthony was apprehensive about Sophia’s behavior so I said that if she started acting up we’d leave and come back another day. Well, she was way more interested in the cars and exhibits than I was! She would look at the displays and say “ooh, nice car!” over and over. Whatever Anthony would look at, she’d look at carefully as though she knew what it was. For kids old enough for basic video games you will want to check out the interactive pit crew challenge, free with museum admission. So… even if you have small children, the colorful displays, sights and sounds of speed will entertain them. Family admission is only $20, too… easy on the wallet! If there is just a few of you, the museum offers several different discounts, and there are a number of coupons out there.